Stay in the know about everything Loveland with our weekly newsletter and custom snow reports. 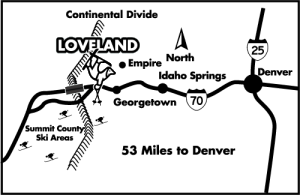 Featuring upcoming events, terrain status updates, and special promotions, Loveland’s weekly newsletter will help keep you informed about your favorite place to ski and ride. Our Custom Snow Reports let you decide whether to receive our snow reports on specific days, every day, and/or anytime we report 6″ or more inches or snow! Never miss another powder day with Loveland’s Custom Snow Reports.